A new feature announced by Volvo Trucks may mean the days of drivers straining their backs, necks and arms while manoeuvring and reversing may be numbered. Volvo's dynamic steering feature makes use of an electronically regulated electric motor attached to the steering gear of the truck to assist the hydraulic power steering system. The servo motor develops a maximum of 25Nm of torque and is monitored by the electronic regulator. Volvo claims this results in more controlled and more precise steering that is reported to enhance driver comfort. "This patented technology benefits the truck driver in all operating conditions. On the highway the dynamic steering system offers unbeatable directional stability. At low speeds even a heavily loaded truck is so easy to steer that you can do so with one finger," Volvo Trucks President Claes Nilsson says. Volvo says the new system will address some key areas. Firstly, at low speeds, the electric motor takes over the work from the driver's muscles. The driver can relax and steer without having to strain his or her shoulders and arms. Another feature is that dynamic steering centres automatically when reversing. Volvo says the system dampens irregularities in the road surface, such as cracks and holes, meaning the steering feels more stable since the driver does not have to compensate with constant minor adjustments of the steering wheel. Volvo says the dynamic steering system virtually eliminates small steering wheel movements that are unavoidable on today's roads. A steeply cambered road surface or a side wind is quickly detected by the self-learning system, which automatically compensates so the driver can steer straight ahead without having to tug the steering wheel to counteract any sideways movement. Volvo Trucks Australia Vice President Gary Bone says while the date for release is not locked-in, truck drivers in Australia and New Zealand can look forward to experiencing the technology in 2014. "Volvo dynamic steering innovation is another reminder that Volvo develops trucks with the driver in mind because attracting and keeping the most professional drivers is key to profitability," Bone says. "This innovation will support the driver to reduce fatigue, drive safely and increase productivity. But it will have to be experienced to be fully appreciated. We look forward to giving our customers an opportunity to experience Volvo dynamic steering next year." Click here to find Volvo trucks for sale. 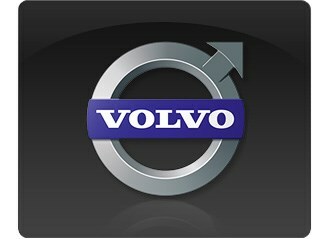 Click here to find new specs for Volvo trucks.